If you haven’t got plans for your summer holiday then look no further. France offers one of the best climates for fun lively atmospheres, interesting events to go to and just generally warmer weather than we tend to find here. The extended summer schedule means all the attractions of cities will be open later giving you more time to take in France at your leisure. Festival season is now in full swing so whether you intend to partake or not you’ll be able to take advantage of the abundance of street performances food vendors and live music that resonates through city streets. The warm evenings make it a perfect time for taking in a late dinner or enjoying a bottle with your loved ones at a terrace cafe, essentially calling to mind what every non-Frenchman imagines when they think of Paris, perhaps there’ll event someone playing an accordion? 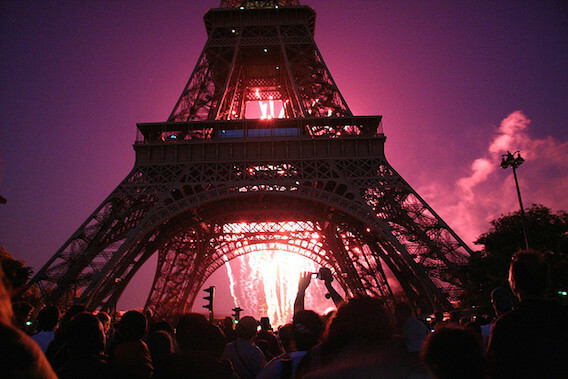 If you’d like to get a proper taste of French pride then there is no greater celebration then Bastille Day on July 14th. This commemorates the storming of the Bastille, a prison in Paris, which marked the major opening of the French Revolution in 1789. The revolution is a defining moment in western history when aristocratic chains were thrown off and the people of France seized freedom, yeah there was a lot of murder but modern France was born. This is a great event to take children to, military parades in Paris go on all day you’ll get to see mounted troops as well as infantry and motorised units as they proceed under l’Arc de Triomphe. France’s allies also march in the parade but if you can’t get through the crowd then looking up will suffice during the day highly choreographed aerobatic displays from the airforce will keep you amazed and once night falls a colossal firework display is put on. Since Bastille Day takes place in mid-July there’s a very good chance the weather will be on your side. The French populace make the most of this national holiday by spending time with family and friends outdoors picnicking, though many of the restaurants in Paris put on their own special menus in honour of Bastille Day. Just weeks before Bastille Day, Paris celebrates its diversity with their Tropical Carnival. This procession marches through the streets of Paris on July 4th; a colourful conga line like something you would expect to find in Brazil. The Tropical Carnival however has more of a Caribbean slant to it, with steel bands, singers and dancers all fully bedecked in vibrant exotic outfits partying in the streets of Paris, what’s not to like. The carnival goes on for three days from July 4th to 7th. You don’t have to go further than France to get a sampling of island culture. For something a bit different you could head south the Art of Flying; hot air balloon festival in Annonay. This town is known as the birthplace of hot air balloon flight and marks its heritage each year from June 6th to 8th by celebrating the Montgolfier brothers’ maiden flight in 1783. It’s not just ballooning enthusiasts that like to attend, a huge crowd visits to take in the sights. 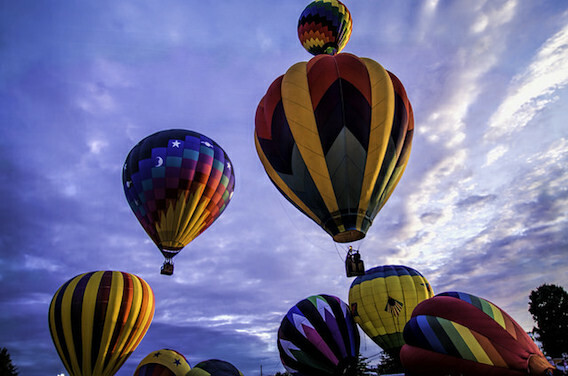 This isn’t just a spectator event though, people are encouraged to take their first flights, you know you’ll be in safe hands with foremost experts in balloon flights taking control of the event. There will also be talks from fliers as well as historic reconstructions of early balloons. France is famous for its perfume and summer is great time to get down to Provence to see (and smell) the lavender fields before they are harvested. Lavender has been a valuable crop throughout the ages for its medicinal use as well as perfume and dyes. The lavender festival begins on July 1st and runs through to September, so you’ll have plenty of time to arrange your trip. Perhaps you could even stop off in wine country on your way down or maybe have an extended road trip all the way to the beaches of south France. Lavendar is a symbol of the region is used today to flavour foods, as part of aromatherapy and much more. The crafts fair on will certainly be worth your time and you’ll get to discover the many uses of Lavendar. 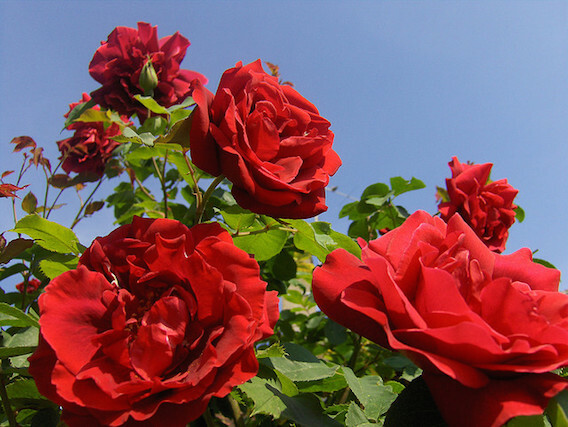 in west France is definitely something not to miss for any flower enthusiast with a weakness for roses. This is no standard rose garden on July 15th 100,000 blooms are cut from the near 7 million bushes that grow in Doue la Fontaine. These specimens are then expertly arranged in the cave gallery that boasts natural crystal formations as well as professional lighting and water features. The showcase opens at 9:30AM and remains open until 7:30 in the evening. The landscape architects are planning to put on a full display using inspirations from French, British and Japanese garden styles. It’s only a 100m meter walk through the Rose Day spectacular but we guarantee it will be fantastic stop on your holiday to France this summer. The rose displays at Doue-la-Fontaine have been a tradition since 1959 and have only grown in popularity as gardeners have found more and more ways to make this exhibition a true wonder. Paris is calling for you to make the trip there this summer with P&O Ferries!